BBC America released an exclusive look at the first four minutes of the season premiere of Orphan Black. Series 4 kicks off Thursday, April 14 at 10 PM ET. Check out the opening scene below. A new Orphan Black after-show, After the Black, will air following the season premiere on April 14th at 11/10c, with guests Tatiana Maslany and Kevin Hanchard. Orphan Black airs on BBC America Thursdays, at 10 PM ET. In a season where the sisters will have to go back to the beginning, fans will find the clones, and those who love them, as clueless about their fate as we first met them in season one. They now know what they are, who created them, and who was trying to destroy them; but what if everything they thought they knew, was a misdirect? What if they were sent down the wrong rabbit hole? What if they missed a crucial chapter of the mystery? 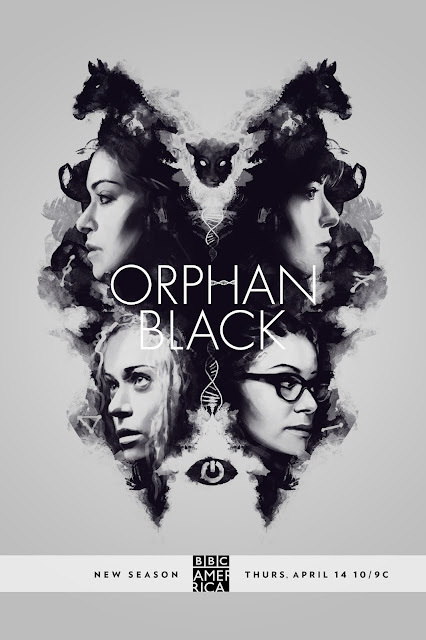 When Sarah (Tatiana Maslany) returns home from her Icelandic hideout to track down an elusive new clone tied to Beth (Maslany), she and her sisters will band together to uncover the truth, no matter who they have to hurt in the process.